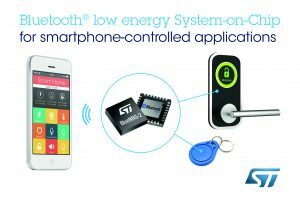 The new-generation Bluetooth Low Energy (BLE) System-on-Chip from STMicroelectronics, a global semiconductor leader serving customers across the spectrum of electronics applications, is set to accelerate the spread of connected smart objects throughout homes, shopping areas, industry, toys and gaming, personal healthcare and infrastructure. Built into all new mobile phones, tablets, and computers, Bluetooth Low Energy wireless technology enables consumers to interact with any BLE-enabled object from their own devices. Similarly, service providers can conveniently connect assets to the Cloud for service delivery and data collection. ST sees important opportunities for BLE-connected applications that are simple, functionally focused, and can operate on a button cell for months or years. The new BlueNRG-2 chip meets all these needs with its extremely power-efficient programmable processor and low-power features including an ultra-frugal standby mode. 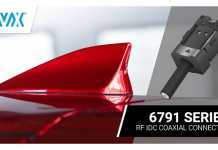 The high RF signal strength saves system power by ensuring reliable wireless communication and generous on-chip memory for BLE software and application code simplifies system design by saving external memory components. BlueNRG-2 is Bluetooth 5.0-certified, which ensures interoperability with the latest generation of smartphones, and supports enhanced features such as state-of-the-art security, privacy, and extended packet length for faster data transfer. A comprehensive Software Development Kit (SDK) is available, featuring the BlueNRG Navigator Graphical User Interface (GUI), which makes it extremely easy for designers and innovators to create the next generation of connected devices with the BlueNRG-2 chip and realize the vision for a smarter environment. ST has chosen the ARM Cortex-M0 core to provide low-power, extremely efficient, 32-bit processing performance for BlueNRG-2. Other integrated features include cryptographic processing, power management, clock management, and up to 256KB of Flash memory giving extra flexibility to handle code and data storage. Multiple power-saving modes, including standby mode drawing just 0.5µA, help meet functional requirements with a minimal power budget. The integrated BLE radio with +8dBm RF output power maximizes communication range and saves overall energy consumption by avoiding data errors and retries. The device is specified for operation up to 105°C, allowing use in a wide range of scenarios including automotive environments. Developers using BlueNRG-2 can also take advantage of seamless interconnection with the ST MEMS sensor portfolio, which includes market-leading accelerometers, gyroscopes, magnetometers, Inertial Measurement Units (IMU), pressure sensors, and other environmental sensors. 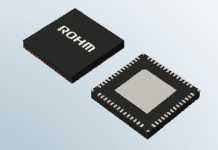 An integrated 2-channel, 10-bit analog-to-digital converter (ADC) provides a convenient interface for analog front-end transducers, and a Pulse Digital Modulation (PDM) interface simplifies connecting a digital MEMS microphone for natural speech voice-controlled applications. 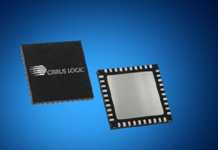 The increased memory size and the high-efficiency core architecture allows running ST Open.MEMS libraries with low impact on the overall power consumption. The sensors and libraries, together, enable developers to implement advanced capabilities such as gesture recognition and activity tracking. ST has also developed a dedicated ultra-miniature balun (BALF-NRG-02D3) for its BlueNRG devices. Integrating a matching network and harmonics filter, the enhanced balun simplifies RF complexity and provides optimized link budget in a less than 1.2 mm² footprint. Designed on a non-conductive glass substrate, it offers low dispersion over temperature, surpassing other solutions available in the market. The BlueNRG Navigator GUI simplifies and streamlines device configuration, setup, and testing, and enables makers or developers to quickly get started and implement new ideas for smart devices without requiring any specific RF or BLE skills. The intuitive graphical interface enables users to become productive in just a few hours. Application examples, code snippets, and versatile tool support allow coding to begin quickly using the BlueNRG-2 Evaluation Kit. The BlueNRG-2 Evaluation Kit (STEVAL-IDB008V1) contains MEMS sensors, LEDs, pushbuttons, and programming interfacing to run the provided demonstration software out-of-the-box. An Arduino-compatible connector is also featured onboard, which allows development of more complex applications by adding extra expansion boards.